Kandungan laman sesawang ini juga tersedia dalam bahasa Melayu. "Had the performance I now describe nearly resembled any of those commonly seen here, or in the Peninsula, there could be little interest in this description, but in the belief that the sight as I saw it is a rare one, seldom witnessed by Europeans, and so far undescribed, I have ventured to offer it, as it may, to some, be interesting." of the Royal Asiatic Society in Singapore, August 1878. In 1811, an exquisite dance performance, accompanied by an ensemble of brass instruments, was brought from the Riau-Lingga court to enliven a royal wedding which took place in Pekan, Pahang. Since then, this performing art, now known as the Malay gamelan, had developed into an exclusive entertainment for royal pleasure in the Pahang and Terengganu courts. Between 1914 and 1942, the love and effort devoted by the royal couple of Terengganu, Sultan Sulaiman Badrul Alam Syah and Tengku Ampuan Mariam, had carried the Malay gamelan into its glory days. However, the demise of the patrons and World War II had caused the Malay gamelan to almost disappear, turning it into a hidden treasure. 24 years later, Mubin Sheppard, a man on a mission to preserve Malay architecture, stumbled upon the long abandoned gamelan instruments, locked away in Istana Kolam. That year was 1966. This finding lead to a reunion of the former musicians, headed by Pak Mat and the re-establishment of new dancers under the guidance of Mak Nang, once a prima donna of the court. 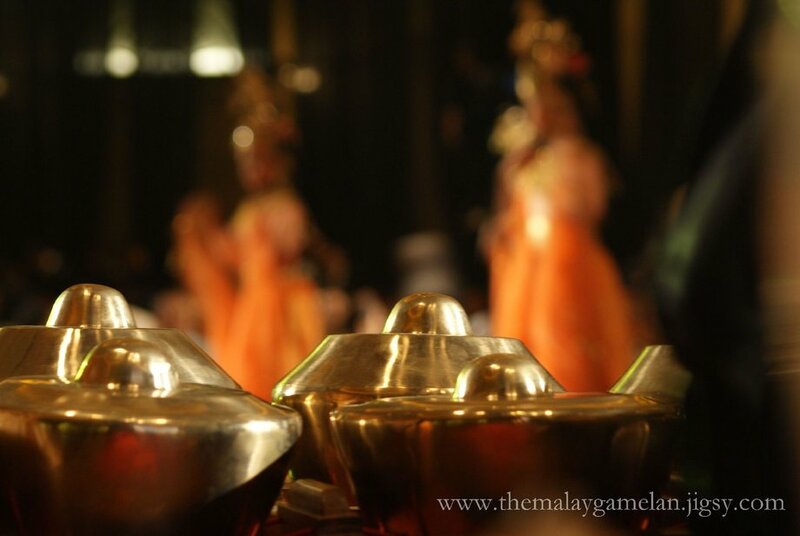 Hence, the Malay gamelan was reborn and from a prefatory appearance in Istana Kolam, it was brought to University of Malaya, Kuala Lumpur to be performed in public for the very first time. The Malay gamelan has now lifted its veil to audience and listeners beyond the royal circle, thus allowing the beauty and splendor of this precious heritage to be enjoyed and explored by the generation to come.